Stoke City To Make £10m Offer For Aston Villa Defender: Good Fit For Rowett’s Plans? Premier League survival was out of reach for Stoke City last season, as the Potters slumped back into the realms of the EFL Championship. Next season, Stoke City, under the tutelage of their new manager Gary Rowett, will be looking to take the leap back into the top flight but for that, they will need to add some players with good enough experience in Championship football and it looks like they have already earmarked one such player. As reported by the DailyMail, Stoke City are looking to strengthen their squad by making a £10m offer for Aston Villa defender James Chester. The Potters are eager to put themselves in contention for a return back into the Premier League and see Chester as an ideal reinforcement for their defensive line after the loss of Chelsea loanee Kurt Zouma. Villa have new majority shareholders in the form of Nassef Sawiris and Wes Edens and this will play a big factor within the internal affairs of the club. Manager Steve Bruce will meet with the pair on Wednesday as they look to discuss the immediate future of Bruce and his players. Current Belgium assistant coach Thierry Henry is in the running to take charge of Villa from the dugout and this will play a significant role in deciding the club’s approach to the current transfer market. Stoke City, however, are keen to take advantage of the situation at Villa Park and will bank on the uncertainty of the internal affairs to capture the signature of Chester. The 29-year-old centre back will add depth to the squad as he can be trusted in carrying out the duties of a right or left back. He is strong in the air and composed on the ball. Chester exudes calmness while confronting a goal-threatening situation and commands his defensive unit well. He has the ability to play the ball out from the back and puts his passing range to good use. The Potters conceded 68 goals last season as they failed in their attempt to secure themselves a place in the upcoming Premier League season. The addition of Chester will be a big boost to the team as they look to find a replacement for Zouma. The French international was a key figure within the team but failed to prevent Stoke from suffering relegation to the Championship. 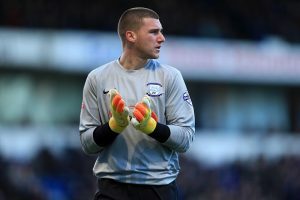 Read More: Crystal Palace Join The Race To Sign 22 Y/O Aston Villa Starlet: Good Fit For Hodgson? Chester was a mainstay in the heart of the Aston Villa defence but could not prevent his team from conceding 42 goals throughout the campaign. His heroic performances failed to give Villa the edge, as they lost the Championship play-off final to the hands of Fulham FC. Both Stoke City and Aston Villa dream of plying their trade in the Premier League and will need the commitment and guidance of James Chester on the field to give them a significant advantage in achieving their target. Newcastle United In Advanced Talks To Sign Bundesliga Forward: The Right Man For Benitez? Middlesbrough Make Enquiry About 21 Y/O Liverpool Winger: Good Move For All Parties Involved? 30 Y/O Aston Villa Defensive Ace Set To Have Medical At Reading: Good Move For All Parties? Predicted 4-5-1 Aston Villa Lineup To Face Reading: Bree To Get A Start? Aston Villa Targeting This Manchester United Veteran: The Final Piece Of The Puzzle? 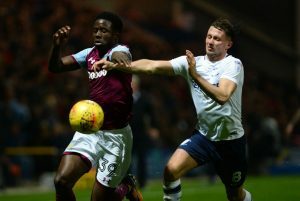 Aston Villa Forward Latest Addition To Their Long List Of Possible Departures: Why Bruce Should Hold On! West Ham United Want This On Loan Aston Villa Defensive Star: Right Move For Moyes?